Production data does not lie. Although quite underrated by Allied intelligence during WW2 and still somewhat underestimated today, the StuG III was, nonetheless, the most produced tracked German AFV during the conflict. 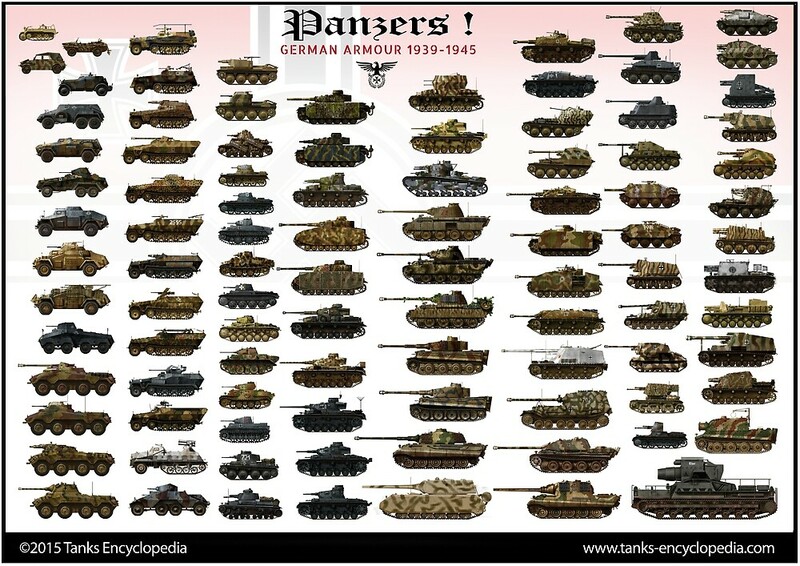 Its evolution mirrored that of the more famous Panzer IV. At first, the StuG was a simple derivative of the Panzer III for infantry support only, but ended as one of the most important German vehicles of the war. With its low-profile and low-cost, it was the real battlehorse of the Wehrmacht, shifting from a close support vehicle to a tank-hunter of first magnitude, soldiering without interruption anywhere from North Africa to Europe and Russia. The crews loved it because of its low profile and good armor, and the infantry it was supporting was grateful for its firepower and availability. The very roots of the Sturmgeschütz (“assault gun”) could be found within Von Manstein’s “Sturmartillerie” concept. It had been already found, back in World War One, that the Sturmtrüppen lacked an effective way to deal with pillboxes and fortifications on the spot. There was no way at the time to bring to bear a standard howitzer or artillery piece for direct fire, but by 1918 all projects to remedy this died out. 1.) We agree on the technical development of a Sturmgeschütz (assault gun) and on its tactical commitment. a) The task of the Stumartillerie is to destroy enemy machine-gun (MG) positions. This task will be performed within the scope of the infantry attack and at firing ranges of maximum 4km. Thus it is a weapon of the infantry and does not have to perform artillery duties. Therefore, there is no need for shooting ranges of 7 km or being fitted with indirect sighting devices. b) At the same time, the Stumartillerie has to totally fulfill the tasks for which it is currently under development. Thus double development work will be avoided. In June 1936, the Inspektorate des Artillerie authorized the Heeres Waffenamt to design a vehicle in accordance with the following specifications. After the specifications arrived at the OKH, an order was passed to Daimler-Benz AG and Krupp for delivering a prototype by June 15, 1936. DB was to provide the hull and chassis and Krupp the detailed equipment, including the main gun, the 7.5 cm Geschütz L/24 für Sturmartillerie (Selbstfahrlafette). The original contract of 24,000 DM was signed for the gun, as well as four wooden mock-ups to be used on prototypes. By 15 December 1936, the codename was Pak(Sfl. ), then Pz.Sfl.III (S.Pack) in 1937. Daimler AG used the recent Panzer III Ausf.B as a basis, and delivered five chassis to Alkett for completion. These five prototypes had soft steel superstructures with wooden mock-up guns, and were evaluated by the Artillerie Lehr Rgt. of Juterbog. Consequently after, Krupp was ordered to build four more guns to be delivered in 1938. These five pre-series prototypes, delivered by the fall of 1937, differed in having eight paired roadwheels per side, wide tracks, an only 14.5 mm (0.57 in) thick soft steel casemates. In short, they were not fit for combat. They saw service for further testing with the Panzer Regiment 1 in Erfurt, and were kept for training well until 1941. The original design omitted any roof, as this open-top configuration was to provide a significant advantage for target spotting. However, in 1939, this was rectified because of unknown tactical requirements, which most probably took into consideration bullet ricochets and shrapnel. Therefore, thin roof plates were mounted, which only protected against 81 mm (3.2 in) mortar fragments, and a wire mesh was also envisioned. However, further reports from troops dictated some early production modifications. A hatch was cut into the roof, so that an artillery panoramic sight could be mounted for indirect fire. In January 1940, the first official production version appeared. The name was altered on 7 February to “7.5 cm Kanone (Pz.Sfl)” and on 28 March to Sturmgeschütz, literally “assault gun”. The full Waffenamt designation was painted on the serial number plates as “Gepanzerte Selbfahrlafette für Sturmegschütz 7,5 cm Kanone (Sd.Kfz.42)” and abbreviated as gp.Sfl.f.Stu.G. 7.5 cm K.
The first production version was based on the Panzer III Ausf.F chassis, and had the frontal armor raised to 50 mm (1.97 in), instead of the 30 mm (1.18 in) of the original pre-series. In detail, the 50 mm (1.97 in) thick driver front plate was inclined to 9°, the hull nose was inclined to 30° and 50°, also 50 mm (1.97 in) thick. The superstructure and hull sides were 30 mm (1.18 in) thick, vertical, while the tail plates, also 30 mm (1.18 in), were inclined at 10 and 30°. The roof was almost horizontal, 10 mm (0.39 in) thick. The rear engine deck was 16 mm (0.63 in), while the belly plate measured 15 mm (0.59 in). The gun mantlet and recuperator were 50 mm (1.97 in) thick. Later, the superstructures sides received 8 mm (0.31 in) additional plates inclined at 30°, and aimed at defeating the French tungsten-core AP shells. The armored casemate was short and large, covering part of the mudguards after the addition of 8 mm (0.31 in) side slopes. There was a large opening on the front, for the bulky main gun mounting. The frontal double slope was heavily armored, up to 50 mm (1.97 in) on the Ausf.A. There were two small two-piece hatches for the driver at the front, two larger two-pieces hatches for the crew on the casemate rear, and open space at the left for the commander’s periscope. The engine could be accessed through two large two-piece and two smaller one-piece hatches on the rear deck. The driver had a reinforced vision slit and a binocular sight. Throughout the evolution of the StuG, this frontal part was up-armored, while the up-gunned version had two kind of mountings, the regular one on the Ausf.F and the “pig nose” for the largely overhauled Ausf.G, which helps distinguish between the two models. Because of its small height, access was easy through the roof’s hatches. Three were posted directly above the driver (left), gunner (right) and commander’s (left) seats. In addition, if the tank toppled over or if the hatch was obstructed, the driver could still escape through the steering brake inspection hatch in the glacis plate. The driver was given a visor mounted in the front plate and could use the KFF2 periscopes in fully protected mode. He had a fixed sight slit in the superstructure left wall, but was blind on the right. The commander and gunner’s hatches were of equal size, and hinged to the sides. The gunner had a Sfl.ZF periscopic gun sight at his disposal, with an aperture on the superstructure front. The commander had a SF.14Z scissors periscope that protruded from the opened hatch in raised position. Otherwise it was folded down, the binocular being strapped on the left wall. His seat was spring loaded and could be raised while buttoned up, and was adjustable in height, locked into position with a foot pedal. This allowed a fully raised position for direct observation, or with the periscopes. The seat was hinged on the left wall and could be folded out of the way. However, the gunner’s seat was fixed to the gun mount, a common artillery practice. The main gun was the Krupp 7,5 cm Kanone L/24 (24 caliber long). This was basically a short barrel gun tailored to fire HE rounds at fortifications and enemy positions. It was an adaptation of the 7,5 cm KwK L/24 tank gun originally designed for the Panzer IV. It was well capable of destroying blockhauses and pillboxes at short, medium or even long ranges when in maximal elevation. The 7.5 cm Kampfwagenkanone-37 L/24 was given several types of ammunition during the war. The K.Gr.rot.Pz. was an armor piercing capped shell, the Kt.Kw.K. was a canister, anti-personal shot, the Nbgr.Kw.K. was a smoke round, the Gr.38 Hl/A was the main early High Explosive Anti-Tank round, as well as the /B and /C models. Last but not least was the standard HE round, the 7.5 cm Sprgr.34, which was the heaviest of all (7-8 kg). The HEAT rounds, especially useful due to the gun’s low velocity (385 m/s), were capable of defeating between 39 and 41 mm (1.54-1.61 in) of armor between 100 and 500 m (110-550 yd), whereas at 2000 m (1.24 mi) it fell to 30 mm (1.18 in) with low hit probability. Normal provision was 54 rounds. With the arrival of the longer Stu.K. L/40, penetrating ability of the rounds was improved, and a battery of tests followed. As a result, the total load was reduced to 44, and the round proportions were changed. 12% of the shells were K.Gr.rot. Pz (armor piercing, capped, with tracer and explosive filler), 65% were HE rounds, or Sprenggranaten, and 23% smoke shells, or Nebelgranaten. Eventually, a fourth type was introduced, with increased efficiency against armor, thanks to the shaped charge principle. This was the HEAT or Gr.38 HL round. It was designed for excellent fragmentation performance, but was still very effective against softskin targets. The initial design was less successful than the K.Gr.rot. But, after the introduction of the HL/A & B, the numbers supplied to frontline units steadily grew. As an indication, an Ausf.D was captured in North Africa crammed with 88 rounds, including 20 HL/As and 35 K.Gr.rot., signalling an increase in tank to tank use. Initially, there was no secondary machine-gun, the tank relying solely on accompanying infantry for close quarter defense, which made sense when its tactical use was first envisioned. By the time of the up-gunned G version, however (December 1942), a single Maschinengewehr 34 protected by a mask was mounted on top of the superstructure. Personal weapons included, generally, a MP 38 light machine-gun and several P 38 automatic pistols. For maximal “safe” fire, indirect targeting was used, but at the expense of accuracy. Better accuracy was reached at short range (less than 500 m/550 yd), due to the low velocity of the projectile and possible errors when adjusting the proper arc. In this matter, the quality of optical instrumentation was paramount. With the Ausf.C, D and E, a new ZF1 targeting sight was introduced, with a reticle pattern including seven triangles separated by four mils. The distances between triangles was used for aiming at moving targets. Their separation and height helped the gunner to estimate the range, marked by 100 m intervals out of a range of 1500 m, with a secondary scale for 6000 m range. Due to the limited arc of 24° (12° on each side), the whole tank had to be moved frequently to deal with relatively close moving targets. The engine was the mass-produced, dependable Maybach HL 120 TRM V-12 gasoline, giving around 300 PS (296 hp or 221 kW) and a power/weight ratio of 12.6 hp/tonne, connected to a driving six-speed transmission. The wheeltrain comprised six paired rubberized roadwheels mated on torsion arms, and three double return rollers per side. The drive sprockets were at the front, whereas the idlers were at the rear. The tracks were made of mild steel and identical to the Panzer III model. Here are the extended specs for the Ausf.D (1941). These versions were known by the Waffenamt as the Sd.Kfz.142. -Only 36 Ausf.As were produced by Daimler-Benz AG between January and May 1940. The first were delivered in September 1939 and the whole series completed in April 1940. The last six were based on the Panzer III Ausf.G chassis. However, due to numerous production faults, only four batteries (15 vehicles) were sent in France by May 1940. -The Ausf.B saw a much larger production (300), this time by Alkett, between June 1940 and May 1941. They were nearly identical to the Ausf.A, if not for the slightly larger tracks (380 mm instead of 360 mm). Standard roadwheels were interlocked with external 520x95mm ruberrized roadwheels and both were interchangeable. The early 10-speed transmission, which proved troublesome, was replaced by a 6-speed one. To reduce chances of the tracks being thrown off during tight turns, the forward return rollers were re-positioned even further forward. -The Ausf.C was only produced for a single month, in April 1941, with 50 vehicles coming out of the factory. Nearly identical to previous versions, they had the main gunner’s forward view port eliminated (it was seen as a shot trap) and replaced by a relocated periscope in the front left of the casemate. The idler was also new. The campaign of France had shown the value of the StuG, and 150 Ausf.Ds were ordered, followed by 500 Ausf.Es. -The Ausf.D was virtually identical, only receiving an on-board intercom. 150 were delivered between May and September 1941. It was simply an upgrade of the C on the production line. There was, however, a dip in effective deliveries due to the shortage of Maybach HL 120 TRM engines, which were being sent as replacements to the Eastern front depots. -The Ausf.E replaced the previous version on the production line, with 284 delivered until February 1942. The side superstructure received rectangular armored boxes for extra radio equipment and storing six more rounds (reaching a total of 50), while a MG 34 with 7 drum-type magazines was installed on the right rear side of the casemate for close defense. The commander vehicles were given SF14Z stereoscopic scissor periscopes. These series were known by the Waffenamt as the Sd.Kfz.142/1. -The Ausf.F was an all-out improvement dictated by war experience against Russian tanks and the urgent need for high velocity guns on every platform available. It appeared on the production line in March 1942. The gun was the new 7.5 cm StuK 40 L/43. This 3.3 m long barrel was a real game-changer, with a muzzle velocity of 740 m/s when fed with the armor-piercing Panzergranat-Patrone 39. The Pzgr.Ptr.39 was indeed proven to defeat 99 mm (3.9 in) of sloped armor at point-blank range (100 m), and still 63 mm (2.48 in) at 2000 m. The optimal engagement range was 500 m, due to the lack of a turret, were it could pierce through 91 mm (3.58 in) of armor at a 30° angle slope. This was proven enough to destroy the most common T-34 tanks and saw the role of the StuG shifting from an infantry support vehicle to an ubiquitous tank-hunter. Another change was the exhaust fan added to the rooftop. By June 1942, with the production rate increasing, 30 mm (1.18 in) appliqué armor was bolted to the lower frontal plate, while the gun was upgraded to the StuK 40 L/48. In total, 366 were produced until September 1942. This version appeared in September 1942 and 250 vehicles were built up to December. The name was derived from the chassis version of the Panzer III it was based on, the 8th, or Ausf.J/L, which had increased rear armor. The hull was characterized by towing hook holes extended from the side walls. It was armed, from the beginning, with the new 7.5 cm StuK 40 L/48, which could defeat 96 mm (3.78 in) of angled armor at 500 m, and 85 mm (3.35 in) at 1000 m (30° slope). With the same ammunition, the 3.6 m long barrel had better muzzle velocity, reaching 760 m/s for the Pzgr.Ptr.39. After October, 30 mm (1.18 in) of appliqué armor were bolted on to the front during the production run. Some were later retrofitted with side skirt armor. The Ausführung G stood apart from the other production versions. It was, in essence, the main production run for the entire StuG series, with more than 8400 rolling of the line from December 1942 to April 1945, equivalent to the total production of all Panzer IV types combined. This tremendous effort was due to a complete reorganization (by Albert Speer) of the production, spread between other manufacturers like MIAG (in 1943) and many suppliers. This was done in order to avoid disruptions caused by the increasingly efficient Allied bombing campaigns. It was, of course, further increased by the gradual replacement of the Panzer III with the StuG III on the same production lines. Simplification and standardization helped to further reduce costs and delays. The main superstructure was simplified. The side sloped armored boxes were eliminated, and the casemate sides were extended half-through the mudguard width. This extra storage allowed to store even more rounds. The engine/fighting compartment rear wall was strengthened, the ventilation fan relocated further back and appliqué armor was standardized. Furthermore, the upper MG 34 was factory-fitted, protected by a squared mask. By March 1943, simplification pushed to drop the driver’s periscope. Metal return rollers were also required due to the lack of rubber. Rubber saving road wheels had been already tested briefly in November 1942, but not adopted. By May 1943, Alkett started fitting Schurzen (spaced armored side skirts), but it was rushed out and the fixations were later proven inadequate at Kursk (this was corrected in March 1944). 80 mm (3.15 in) armor plates were used instead of appliqué armor. The main gun was unchanged, but characterized by its cast rounded topfblende pot mantlet after November 1943. Postwar, it was called “pig-head” (Saukopf or Saukopfblende). There was no coaxial mount, and the mantlet was 45 mm to 50 mm (1.77-1.97 in) thick. By June 1944, this mantlet was in short supply and the traditional trapezoid-shape mantlet reappeared alongside. In June 1944, it received a coaxial MG 34. Another big change was the adoption of a rotating cupola with periscopes, later replaced by a fixed, welded one, because of the sudden shortage of ball bearings. These had shot deflectors generalized by February 1944. Zimmerit anti-magnetic coating was factory applied for just a year, from September 1943 to September 1944. In all, Alkett was responsible for delivering 7500 StuGs, while MIAG built 2586. The former also carried out the conversion of 173 older Panzer IIIs to the StuG III Ausf.G standard, and 142 were based on the late Panzer III Ausf.M chassis. The massive bombing raids of November 1943 let Krupp devise a substitute based on their Panzer IV chassis, which was presented and accepted by Hitler in December. This model was known as the Sturmeschütz IV and overall 1140 were built, using a modified StuG III superstructure. Until the end of the war, numerous “field” modifications appeared, as older Ausf.C/Ds were retrofitted with the long KwK 40 L/48 gun, vehicles were repaired and fitted with the Panzer IV cupola, coaxial MG 34s were fitted and some vehicles even had their front supestructure cement-plastered for added protection, while saving steel. There was even a Soviet model built on captured StuG III and Panzer III chassis’ (chiefly at Stalingrad), called the SU-76i, and armed with a Soviet 76.2 mm (3 in) S-1 AT gun, with added protection. No less than 201 were delivered by Zavod 37 at Sverdlovsk, including 20 commander variants. Delivery started in the autumn of 1943, but, in the fall of 1944, they were withdrawn and used for training. In 1942, a variant of the Ausf.F received a 4.1 in (105 mm) howitzer under the ordnance name Sturmhaubitze 42, Sd.Kfz.142/2. It was a late reversion to the close infantry support rôle, but with a more modern chassis, as more Ausf.F/8s (long) and Ausf.Gs were used for the antitank rôle. The howitzer was derived from a 10.5 cm leFH 18 with electric fire and a muzzle brake, although the latter was often omitted due to the lack of materials. About 1300 vehicles were built by Alkett from March 1943 to March 1945, after an initial delivery of 12 vehicles tested from repaired F and F/8s between the fall of 1942 and January 1943. In 1943, ten early versions, stored in depots, were chosen to be modified, the main gun being replaced by a Schwade flamethrower. Their operational use however is dubious, as no report stated their use in combat and in 1944 they were returned to the depot. As early as 1941, the StuG III chassis was chosen to carry the heavy 15 cm sIG 33 howitzer for close infantry support. Development took time however, and in the end, twenty-four vehicles were so converted and all delivered in October 1942. Twelve of them were diverted to the battle of Stalingrad with the StuG Abteilung 177, and arrived on 8 November 1942, in order to offer an efficient way to to deal with this urban environment. It was already too little too late. All were lost in combat or captured, while the other half was sent to the 23rd Panzer Division. The 15 cm howitzer was the same already used on a Panzer I chassis in 1940, and the Panzer II based “15 cm sIG 33 auf Fahrgestell Panzerkampfwagen II (Sf)” in North Africa. The price tag for the StuIG 33b was 20,450 DM. Thirty rounds were carried in two parts, shells and cartridges, partly stored inside the large bins installed behind the casemate, over the engine deck. The casemate itself was 10 mm (0.39 in) thick, with an extra layer of appliqué armor at the front (20 mm/0.79 in), and entirely enclosed except for the rear, to allow easy access to the ammunition. The manual Instruction of the employment of Sturmartillerie was first published in May 1940 and updated and re-printed in April 1942. By that time, limited war experience permeated the document in a few tactical re-adjustments, whereas advances in technology were more present. Both documents were combined for the second edition, with the contradictions duly noted. It is recalled that due to its nature, infantry support was the vehicle’s chief rôle, with the accompanying morale effect. It was also dependent on infantry in close combat due to its own vulnerabilities: Weak sides, roof and rear armor, lack of visibility, weak arc of fire and, moreover, no close defense system. It is stated that it can be used on the battlefield in the same way as the Panzer IV, and could deal even more successfully with AT guns due to its low profile and thick frontal armor. It could be only “infrequently” used as divisional artillery if the supplies allowed it. It could be attached, however, to theses organic units for special tasks requiring its mobility. It is recalled that it is not to be used for anti-tank tasks, only in case of self-defense. The edition of 1942, due to the improvements in shaped-charge rounds, states that this anti-tank rôle should be plainly approved. The Sturmartillerie Abteilung, or StuG battalion, comprised a headquarter and three Sturmbatteries, each with six vehicles (three platoons of two StuGs). Revised in 1942, this is raised to seven vehicles, the extra StuG being given to the battalion commander. The Sturmartillerie Abteilungs were independent and only under the High Command authority, but, in some cases, a provisional organic inclusion in Divisions was allowed for special tasks. However, these units were rarely put under the command of an artillery commander. Efficient communication had to be ensured to allow a rapid redeployment of the Abteilung in support of various units inside the Division. The manual states that the firing positions must be chosen with care, and well camouflaged to hide them from ground, but also air observation. A warning is issued not to split any platoons into smaller units in order to keep some amount of firepower, and only reserve this practice for exceptional short-duration support missions. Security missions, urban combat or night missions were also disapproved. It was recommended to gradually withdraw these platoons for refuelling and re-supply operations at the rear and, in any case, the vehicles had to be thoroughly serviced after 4/5 days of mission. Due to their lack of vision, close infantry cooperation was required to prevent any encounter with obstacles and mines. The rôle of infantry is especially crucial when dealing with possible side and rear enemy infantry attacks. The manual also strongly recommended surprise at any level of the engagement to ensure maximal lethality. Careful pre-positioning, camouflage, sufficient frontal arc of vision and firing without warning were all considered essential. Planning a safe retreat path, without obstacles to safely withdraw for refuelling and rearm is also noted. Smoke ammunition was to be used in this case and to blind the enemy flanking attacks. But, in the 1942 revision, the total allocated for smoke rounds was reduced to 10% of the total. As breakthrough operations went, the Sturmartillerie Abteilungs only intervened after the breakthrough was done, but right after the first wave of battle tanks, and way before the arrival of tracked artillery and infantry. They were to secure the flanks, like the Panzer IV, of any anti-tank positions, and to prepare the terrain for infantry to follow, destroying fortified positions, especially concrete bunkers. Close cooperation with flame-thrower carrying assault engineers ensured maximal efficiency. It was recalled that only in the case of very close and very strong infantry support should these tanks be used in urban or forested areas. On the move, it was considered essential for the StuGs to not run at more than 25 km/h (15.5 mph) with large gaps between vehicles and “leap-frog” their way to the objective, allowing the infantry to catch-up and stay close. Crossing bridges had to be carefully handled, at no more than 8 km/h (5 mph) with 30 m intervals. In any case, fording was preferable whenever possible. When operating with an infantry division, the division commander retained the unit as long as possible under his own direct control. They were to be used in the interval between the advanced spearhead and the main body, and only in rare cases on the first line. On the march, they were placed under the column commander authority. With armored divisions they could also find themselves in the advanced guard. In attack, Sturm. Abt. units were attached to infantry regiments. The manual made it clear that it is questionable to use StuGs for battery tasks on fixed targets, that could be instead disposed of by divisional artillery. The StuGs were best employed to deal with previously unknown enemy positions and nests of resistance, assisting the infantry to carve its way through deep enemy defensive lines, but with a backup of heavy infantry weapons or divisional artillery. In all cases, detailing attack procedures stated that the StuGs had to be ready to intervene after the infantry started the attack, or held in reserve after enemy positions were duly identified. In both cases, never spearheading an assault. The platoon commander was encouraged to constantly cooperate with the most advanced infantry platoons and never be put in control of an artillery commander. When attacking, their chief targets were enemy AT guns, then fortifications. The initial formation helped make observation easier and favored rapid reaction against any spotted AT position. In case of a defensive action, StuGs were only to be used as a secondary resource, after the AT guns had been decimated or overrun. In that case, the StuGs were to advance to the shortest distance of fire, helped by their low stature. The 1942 manual recommended that 15% of the ammunition had to be AP rounds, instead of the 12% previously mentioned. In pursuit, StuGs had to be kept close to their infantry support at all times, in order to be aware of unseen enemy positions and deal with any resistance. In fighting withdrawal, StuGs were allotted to infantry units and could be used in rear guard actions in support of tanks. Organisational structure: A Sturmbatterie originally comprised six StuGs -three platoons of two-, five Sd.Kfz.253 light observation halftracks for platoon leaders and battery commanders, six Sd.Kfz.252 light armored ammo carrier halftracks (decreased in 1940 to three each) and three Sd.Kfz.251 Hanomag medium halftracks for the replacement crews. Due to initial production delays, Panzer I, Sd.Kfz.265 recce and Sd.Kfz.111 supply vehicles were used instead. By 7 February 1941, the Sturmbatterie Abteilungs were renamed “Sturmgeschütz Abteilungs” with several “Sturmgeschütz batteries”. The StuGs were the unsung heroes of the German defense from 1943 to 1945, with more kills than the Panthers and Tigers altogether (20,000 claimed just in 1944). Their career as support tanks spanned for longer, but they were found efficient against lightly armored vehicles even with HE rounds. Sturmgeschütz crews were artillery men, but considered themselves as an elite, an image reinforced by the propaganda newsreels. Due to its availability, the StuG was used on every single front the Wehrmacht was committed to, from the shores of France and Norway to the Volga in the east, and Africa from the gates of Egypt to the Tunisian hills, and it was also generously distributed along Germany’s allies. The first Sturmbatterie, 640, was created on 1st November 1939, followed by the 659, 660, and 665 in April and May 1940. The first action came for the 16th Sturmbatterie, with the Grossdeutschland division under Gen. Guderian’s command, during the Sedan breakthrough. This unit attacked Villiers and met heavy resistance from an entrenched French cavalry unit. It attacked the following day towards Mellier, and nullified an enemy infantry unit in the direction of Suxy. A French reconnaissance battalion was destroyed in the process of taking several fortified buildings. After other engagements near the Belgian border, the StuG Abteilungs secured a strong foothold on the other side of the Meuse at Sedan. The first reports of these engagements written by infantry officers were dithyrambic and the StuG secured its place into the Wehrmacht arsenal. Between August 1940 and January 1942, 18 Sturmgeschütz Abteilungs were formed, just before the production shifted to the new Sturmkanone L/43 in March. A fully independent unit, the Sturgeschütz-lehr batterie 900 was formed in March and three batteries were attached organically to the SS divisions “Das Reich”, “Totenkopf” and “Wiking”. These were the first to have a seventh StuG per battery for the commander, and to have extra radio sets for one in two vehicles for the platoon commander. By April 1941, these units were supplemented with sidecars for dismounted platoon leaders, and trucks replaced the Sd.Kfz.10/11. This was extended to all units on 18 April 1941. This new disposition was operational for the start of Operation Barbarossa for all but a few Sturmbatteries. During the Balkan campaign, the Sturmgeschütz-Abteilung 184, 190 & 191 and 16 were in action together with the Sturmbatterie/Infantrie Regiment “Grossdeutschland” in Greece and Yugoslavia. In its first 15 days of operation, Oberleuntnant Pelikan’s StuG unit destroyed 91 tanks and captured 23, destroyed 23 bunkers, ten armored trains and disrupted convoys, claiming hundreds of trucks. After a first engagement at Bialystock, the StuG Abt.285 fought on and built a significant experience on the roads of Leningrad between June and December 1941. Reorganization of the platoons occurred due to the lack of vehicles (only one StuG per platoon) towards the end of the year. The command vehicle was now a Sd.Kfz.253 instead of an open car. It was usual of the StuGs to identify the targets far away first, due to better optical instruments, the infantry providing side and rear close visual cover. In tank-to-tank combat, the StuG III proved superior to any Soviet tank encountered (T-26s and BT-5/7s for the most) until late 1941, when more encounters with the KV-1 drove concerns. Due to the harsh conditions during the fall of that year, many breakdowns occurred even before the first snow fell, because of the soaked muddy terrain that took its toll in over-stressing the transmission. After that, with the cold sitting down, problems started appearing with the starters, broken torsion bars and broken or torn tracks. The culprit was the snow that, mixed with mud and gravels, froze up each night. Crowbars were used frantically by an exhausted crew each evening and each morning to keep the tank in running order, trying to eliminate the frozen dirt that clogged everything. In this regard, the StuGs did not fare better than the other Panzers, sharing the same mechanical parts on the chassis and narrow tracks more suited for the moderate climate of the west. With such a regime, the Abteilung was left with only ten StuGs operational on 10 December, the situation being even worse for other units. By the 31, the Abteilung 185 lost 6 StuGs in exchange for silencing or capturing 130 artillery pieces, 39 infantry guns, 34 mortars, 79 AT guns, 45 AA guns, 314 MGs, 91 tanks. The unit also spent nearly 60,000 rounds of 75 mm (2.95 in) ordnance of all types. Form February to March 1942, Abteilung 185 was resupplied with better HEAT ordnance and claimed more difficult targets, 29 KV-1s, 27 T-34s and 2 KV-2s, but took eight losses. These claims only concerned irreversible losses, like hulls left burning or blatantly destroyed and not lightly damaged tanks that barely lost a track or had a damaged drivetrain. As reported, ammo expenditure was divided into 12,370 HE, 5120 AP, and 1360 HEAT rounds. This figure reflected the success of other StuG Abteilungs in operation on the Eastern Front. Despite having the short barrel, the early StuG Ausf.A to E succeeded in destroying more T-34s than taking losses themselves. But a revolution was brewing, as the new F series was intended to carry the long barrel Stu.K.40 L/43. Krupp already started worked on the s.Pak L/42 from January 1940, and the project evolved until March 1941. It was then shown to Hitler and an optimistic spring 1942 target was set for production. However, Wa Prüef 4 was ordered to cease work on the new gun design as the OKW, after evaluating the reports from losses due to T-34s and KV-1s, realized that not only protection needed to be increased, but the long barrel gun had to have an even greater muzzle velocity. Wa Prüef 4 then used this letter to require Rheinmetall to design a new gun with a 770 m/s muzzle velocity (with HE) and penetration of 80 mm/30° (3.15 in) at 1000 m. At first, Rheinmetall considered truncating the towed 7.5 cm Pak 40 L/46, born from similar specs. It had to be adapted to be fitted in the StuG casemate, posed recoil problems (90 cm were required) and the rounds were too long (969 mm long). The loading chamber was remodeled and shortened, while the rifled barrel chamber was kept intact. This resulted in the Kanone 40 7.5 cm L/43, complete with new compact shells. The high explosive filler was reduced in size, preventing the shell from breaking up during penetration. The Pz.Granate 39 had an armor piercing cap to prevent shattering on impact and a ballistic cap to reduce air friction, ensuring better velocity. Trials ended in February and production started in March, with 51 deliveries, and 66 in May, before a radical increase. In addition, a removable double chamber muzzle brake with four side ports was added to reduce recoil. The Sturmgeschutz-Abteilung GrossDeutschland and the LSSAH were the first to receive 22 of the new Ausf.F in operations, built since March-April 1942. At the start of the summer offensive on the Eastern front, there were about 210 Ausf.Fs in operation (18 units). By November 1942, 448 Ausf.F/Gs served with 22 units. 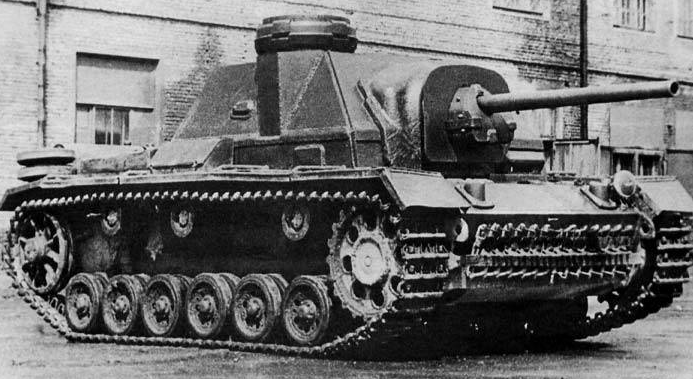 By the time Kharkov was retaken in February 1943, GrossDeutschland Division’s StuG units claimed 44 T-34s (whereas the Tigers only destroyed 30). 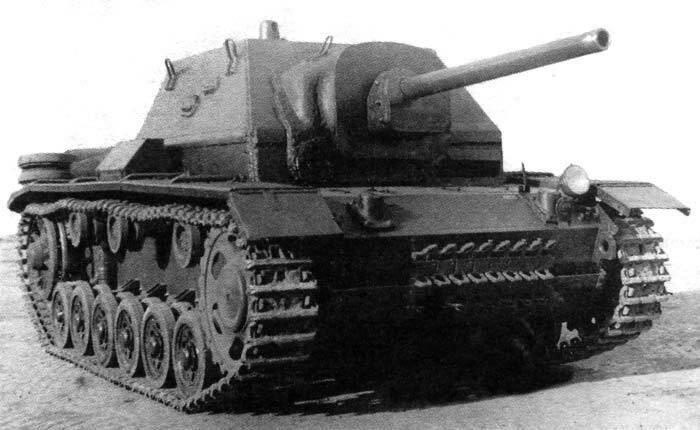 Around Leningrad, the Abteilung 226, with its 41 StuGs (including replacements), claimed an impressive score of 221 T-34s and KV-1s among others, for 13 losses. By March 1943, Abteilung battery composition was changed and increased. By the time the summer offensive started, all 26 units were replenished with new StuG Ausf.Gs, for a total of 727 right before “Zitadelle” took place. Reports in September showed that, in general, the StuGs fared extremely well (especially compared to the poor performances of the Tiger, Elefant and Panthers), probably giving the best performance so far in combat for any given German AFV. Interogations of captured Russian tank crews revealed that all units were given strict orders to not engage any combat with the StuGs. However, the German losses were attributed to better AT guns served by skillful crews, mines and even better AT rifles that could penetrate the commander cupola. Reports also stated that the regular tanks, like the Panzer IV, were not at ease in this kind of offensive due to their preference for mobility. With less refined optics, a high silhouette and poor cooperation with infantry, they were found less efficient in every way. So much so that it was reported from an anonymous tank commander “I would rather have one StuG Abteilung rather than an entire Panzerdivision”. A total of 423 confirmed kills were reported by the 11 Abteilungen engaged in August 1943, for the loss of only eight vehicles. During and after the battle, reports also shown the good practice of using Schürzen (spaced) armor, that saved many StuGs from the numerous, well hidden AT rifles and light AT guns the Red Army deployed in prepared positions. 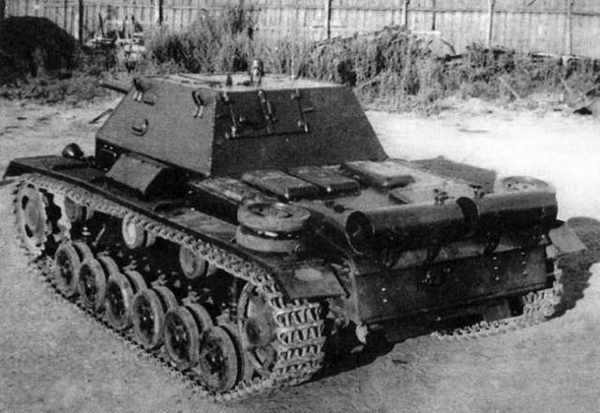 Problems were reported with the lightly armored commander cupola and the ineffectiveness of the loader’s machine gun, but also with the engine and transmission. Helped by the flat landscape, the onboard 30-watt radio proved invaluable, with an effective range of 150 km, although sometimes 200 km and more were attained. By February 1944 the former Abteilungen were renamed Sturmgeschütz brigades, 31 vehicles strong each, whereas the Special Brigades 259, 278, 303 and 341 were authorized to have a total of 45 tanks each (14 per battery). In total, since 1940, 57 StuG Abteilungen (Brigades) were formed alongside twelve independent units, and acquired a great deal of experience, showing great versatility with the same success against both infantry and tanks. This was reflected in a very diverse ammo supply. In practice, due to their moral boost effect on the battlefield and to avoid withdrawing to resupply, crews usually preferred cramming extra rounds wherever possible. 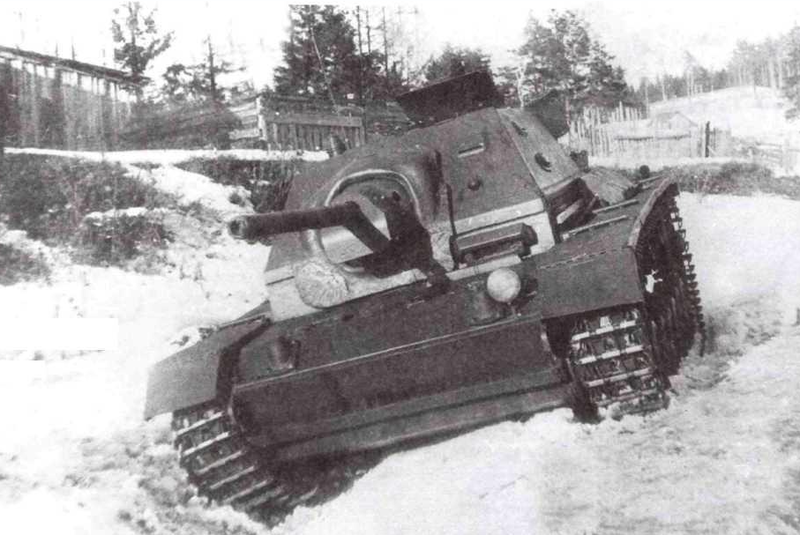 According to another report of Hauptmann Markowsky from the III/Panzer-regiment 24, 24th Panzer Division at Krivoi-Rog, the mix of Panzer IV and StuG IIIs also gave excellent results, the StuGs being used like the Panzers, without any form of protection against infantry, and some were detached in the division as an ad-hoc tank-hunter unit. After nine days of heavy fighting, the regiment claimed 184 enemy tanks (mostly T-34s), 87 AT guns and 26 artillery pieces, for only four losses. Results were attributed to excellent training, experience and concentration on the German side. In fact, the attrition rate was mostly attributed to breakdowns. But the Hauptmann insisted that the unit strength was not diminished, but on the contrary, it increased, as instead of 10-15 vehicles per unit, 22 would be preferable. In December 1943, another report from the III/Panzer regiment 36 stated that at least four scenarios of attack could be successful using StuGs in conjunction with Panzer IVs. One of them was a first wave attack, favored by the StuG low silhouette, spearheading the attack, while the Panzer IVs, with their revolving turret, provided side cover. This was an imperative condition, because if the StuGs were left to simultaneously engage a great number of targets at diverse azimuths, especially on a muddy/snowy terrain, that imposed frequent turns of the chassis and overtaxed the transmission, causing even more breakdowns. It was also noted that the lack of suitable protection for the machine-gun was critical when assaulting enemy infantry positions, due to AT rifle fire. It was also noted that, by far, engagement in close cooperation with Panzer-grenadiers was the most efficient way to deal with enemy infantry positions, both providing a mutual, almost symbiotic protection that worked wonders. In defense, they were also in their element. With their low profile, easy to camouflage, and excellent long-range sights, they could inflict tank damage at a distance without maneuvering, and then retire safely. However, compared results showed the superiority of the Panzer IVs on the offensive. From October to December, 17 Panzer IVs, on average, destroyed 136 enemy tanks, while the 13 StuGs claimed only 75. However, 20 Panzer IVs were complete write-offs compared to only 16 StuGs after 16 days of combat. The Sonderverband 288 deployed four StuG Ausf.Ds (short barrel version), which participated in the Gazala campaign with Kampfgruppe Menton. One was lost in Piraeus Harbor, and one captured by British armored cars en route. The two surviving were apparently in action at El Alamein (2nd battle). One was apparently used with the 90th Light Division until the surrender in Tunis. When reinforcements arrived in Tunisia, six F/8s from the 1./Sturmgeschütz-Abt. 242 were sent to serve with the Xth Pz. Div., but only four survived the crossing. These were placed with the Fallschirm Regiment Barenthin and Fallschirm Brigade Ramcke and lost in May 1943. StuGs were a rarity in North Africa, contrary to other theaters of operations. Among the units which served there was the StuG Brigade 341, which fought at Brecey, Southern Avranches/Pontaubault in late July and Chartres in August. It had Ausf.Gs, as well as a few StuH 42s. Others were the StuG Brigade 394 and 243, the SS-StuG.abt.2, the Panzer Jäger Abteilung 130 and the 902 Sturmgeschütz Abteilung. These were helped, again, by their low profile and, of course, the hedgerow configuration. Also, the 2./Pz.Jg.Abt.331 saw action in the early summer as well as the PzAbt(Fkl)301. As an anecdote, StuG IVs of the 17th SS Pz.Grenadier division “Goetz von Berlichingen” also saw action in the early summer 1944. One was photographed disabled by US. Capt. Taynton after June 15, 1944. StuH 42s were used by the FschPzDiv “Hermann Goering” in 1944, and the Ausf.Gs of the 15th Panzer Grenadier Division served in Sicily in the fall of 1943 and Italy in 1944. The Sturmgeschütz-Abteilung 107 was active with the XIII SS Corps, 1st Army, Army Group G in northern Italy in 1945. The Sturmgeschütz-Abteilung 242 was transferred in Italy in May 1943 and served later with the OB Süd reserve, based in Liguria in 1945. The Sturmgeschütz-Batterie 247 was formed in March 1943, served in Italy and later Sardinia, then Corsica. In October, it was sent back to Jüterborg and disbanded. Formed in January 1944, the Sturmgeschütz-Abteilung 907 was already sent in Italy, reinforced in Ferentino, and soldiered at Anzio and Monte Cassino. In February 1945 it was based in Liguria. Another “Italian” StuG unit, the Sturmgeschütz-Abteilung 914, was also formed in January and sent to Verona, before being renamed Sturmgeschütz-Brigade 720. It soldiered on with 10th Army in early 1945, then passed into Liguria with the LI Corps, 14th Army and mixed forces also comprising StuH 42s. An independent unit, the Fallschirm-Sturmgeschütz-Brigade Schmitz, was formed in Italy in January 1945 and soldiered on with the I Parachute Corps, 10th Army in Liguria. It was then known as the Fallschirm-Sturmgeschütz-Brigade 210. One of the shortest-lived units was the Sturmgeschütz-Abteilung 107, formed in March 1945 from the remnants of several units and attached to the XIII SS Corps, 1st Army, Army Group G.
The most incredible score was registered by an Ausf.F from the Stug.Abt.244 in Stalingrad in early September of 1942. It was commanded by Oberwachtmeister Kurt Pfreundtner and destroyed nine Soviet tanks in 20 minutes, which earned him the Knights Cross. Wachtmeister Kurt Kirchner (Stug.Abt.667) also succeeded in destroying 30 Soviet tanks in a few days by February 1942 (Northern Russia). Hauptmann Peter Franz, another “Knights Crosser” with the Stug.Abt. “Grossdeutschland”, destroyed 43 T-34/76s at the Battle for Borissovka (March, 14, 1943). Unteroffizier Horst Naumann (Stug.Abt.184) destroyed 12 tanks in a single action in January 1943 in the Demyansk area, and 27 enemy tanks in all. The Stug.Abt.667 was a reserve of talents, like Oberfeldwebel Rudolf Jaenicke (who destroyed 12 BT-2s loaded on rail platforms in July 1941). Von Malachowski and overall Oberwachtmeister Hugo Primozic also had enviable hunting records. Waffen SS StuG ace Walter Kniep, (2nd StuG.Abt., 2nd SS Panzer Division “Das Reich”) claimed 129 Soviet tanks for his unit between July and December 1943, for only two losses. Little known were the Luftwaffe independent field units, the Sturmgeschütz-Abteilung 1 der Luftwaffe (formed in January 1944 for the I Fallschirm-Korps), at first partly equipped with Semovente M/42s. It saw action near Nancy (Eastern France) and the Ardennes in the winter 1944-45. The Sturmgeschütz-Abteilung 2 der Luftwaffe was formed in March 1944 and soldiered in Normandy, wiped out at the Falaise pocket and later rebuilt in September in Köln-Wahn. It fought at Arnhem and Amersfoot and in February 1945 at the Reichswald battle. The German allies, Romania, Bulgaria, Hungary, Italy, Spain, and Finland, also operated StuG IIIs. According to Osprey NV StuG III-IV, page 42, three StuG Ausf.Gs were given to the Italian Army in May 1943. Their combat records are unknown. Photos of these are even rarer and did not help to determine their location or type. When the situation was desperate, 55 early type StuG III Ausf.Gs were sent to the Bulgarian ally, between February and December 1943, forming the bulk of the Bulgarian Armoured Division, along with Panzer IVs. At first, two self-propelled gun battalions were created (Sofia and Plovdiv). These were rapidly deployed and fought hard in Hungary in 1945, the survivors being kept into service until the mid-1950s. Photos shown some late Gs with the cast mantlets. By June 1944, the 2nd Hungarian Armored Division received 10 StuG III Gs of the late type. Between August to November, Hungary received 40 StuGs to complement the few 43M Zrinyi. The German vehicles were allocated to tank hunter battalions of three batteries each with 10 vehicles. 130 Hetzers were also given in addition, to equip the newly form battalions. The 1st and 10th were equipped with Zrinyis, and the 1st battalion (7th) was equipped with StuGs and the remainder with Hetzers. According to the “Balaton book” these were of the early, mid and late Ausf.G type and some StuH 42s. The latter were given in 1943-44 (59 in all) and served against the USSR with great efficiency (the first 30 destroyed 87 Soviet tanks for only 8 losses). 30 were received in 1943 and 29 in 1944. The second batch saw limited if no action. After the war, the StuGs remained frontline in the Finnish Army until better tanks were provided in the early 1960s. 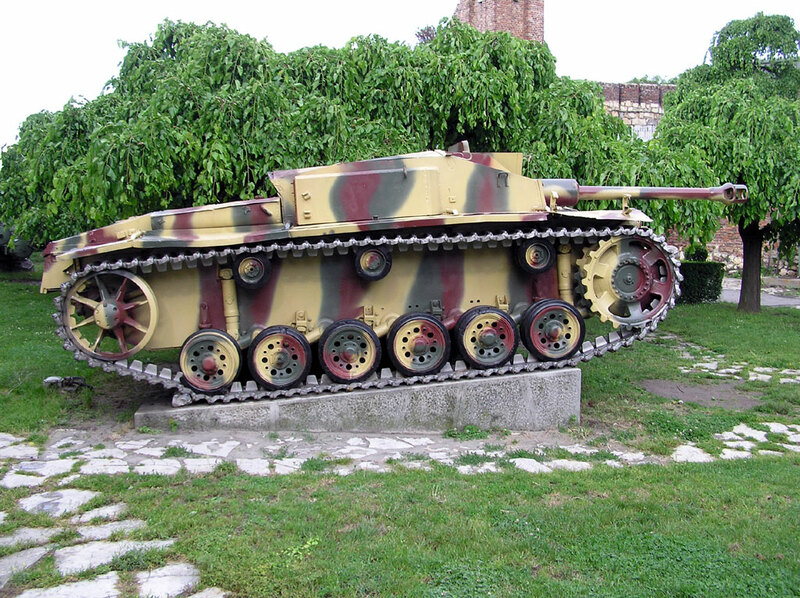 100 StuGs were delivered in the autumn of 1943 to bolster the Romanian defense, after the crippling losses following the battle around Stalingrad. Officially, these were known as TAs, more precisely TAs T3 (to avoid confusion with the Panzer IV/70 (V), which were named T4s). By February 1945, only thirteen were left after combat, with the 2nd Armoured Regiment in early 1945, but all were destroyed afterwards. 31 TAs were in inventory in November 1947. They were not survivors, but captured models supplied by the Red Army or damaged and repaired vehicles captured by the Romanian Army. They joined the scrapyard in 1954, due to a decision to use exclusively Soviet equipment. The Soviets used a few captured units, with specific paintings and large spotting markings. Also, using repaired and captured hulls, they managed to build another 300 SU-76i self-propelled guns and tank hunters, equipped with standard Soviet 76 mm (3 in) guns in 1943-44. A derivative of the latter was the SG-122 “Artsturm”, as nicknamed by the Germans, housing the Soviet 122 mm (4.8 in) standard heavy howitzer. Only a handful (10) were so converted, but the conversion process did not go further, the result being judged unsatisfactory and hard to maintain. Norway captured many StuGs in 1945, and Sweden tested the type in 1947, received from Norway. It inspired models like the Strv 103. The Norwegian StuGs were kept in service until 1951 and the ten Spanish vehicles until 1954. After the war, Yugoslavia, Turkey and Syria also received StuGs. Due to the inadequacy of Spanish tanks in modern warfare, Franco’s Azul Division was given German Panzer IV E/F8 medium tanks, grouped inside the Tank Hunter Battalion 250. The unit was first blooded in October 1941, but the tanks soldiered on until February. The remnants fought a quite extraordinary defensive battle at Krasny Bor on February, 10, 1943, the armor being entrenched and protected. The “blue” division took 75% casualties in the course of the battle, but held its ground and inflicted around 11,000 casualties among Russian attackers. Other attacks were repulsed later, but the lines became static for months. By October 1943, the Division was eventually replaced by the 81st Infanterie-Division and the 123rd Infanterie-Division, and was retired to Volosovo. In November 1943, a total of ten StuG III Ausf.Gs* were sent to replace part of the losses. But the unit was afterwards convoyed back to Spain, so battle records are unknown for these. (* Osprey NV StuG III-IV, page 42). These were captured by Partisans and used sometimes on both sides (Ustachis alike). They survived the war and were kept in the new Yugoslav People’s Army for years. The post WW2 CS Army upgraded the Sturmgeschütz they had in their possession. They added a new shield for machine gun DŠK that was used on the Jagdpanzer 38(t) Hetzer. They were given the following designation Sh PTK 40/75N (years 1946-1949) and SD 75/40N (years 1949-1960). 40 were sold to Syria. The Syrian army purchased StuGs from France and Czechoslovakia. In 1956 they were deployed alongside Panzer IVs and T-34/85s, reinforced with extra steel plates. By the war of 1967, all were scrapped or stripped for spare parts, the remainder being used in dug-out positions and static pillboxes on the Golan heights. At least one was captured by Israel and is now displayed at Yad-la-Shiron Museum near Tel Aviv. – Osprey Publishing – Fighting Armour of WW2 collection, Hilary Doyle, Tom Jentz, Peter Sarson, Sturmgeschutz assault gun 1940-42. – Osprey Publishing New Vanguard 019 – Sturmgeschutz III, 1940-42, by Doyle, Jentz and Sarson. A very thorough Russian article about the StuG. Versurchsserie “s.PAK”, StuG III prototype, based on the Panzer III Ausf.B, 1939. Ausf.A, Sturmegshütz batterie 640, Grossdeutschland infanterie regiment, France, May 1940. StuG III Ausf.B of an unidentified Panzergrenadier unit, Balkans, April 1941. Ausf.C from the 192 Sturmgeschutz-Abteilung, Russia, early 1942. Ausf.D Sonderverband 288, Deutsche Afrika Korps, 1942. Ausf.C/D mit 7.5cm L48 and “pig snout”, or Saukopf mantlet, Laapland, 1945. Ausf.E from an unknown unit, Eastern front, autumn 1942. StuG III Ausf.F, Panzer-Abteilung 191, Eastern front, 1942. Ausf.F from the Sturmgeschutz Abteilung 1, GrossDeutschland Division, Russia, 1942-43. Ausf.F from the Sturmgeschutz Abteilung 210, Russia, 1942-43. Ausf.F/G with an ambush pattern camouflage, Normandy, 1944. StuG III Ausf.G, Kursk, summer 1943. Early Ausf.G in Tunisia, February 1943. Ausf.G early type in Dunkelgrau livery, unknown unit, Russia, spring 1943. StuG III Ausf.G from the Abt. Jagdpanzer Grenadier Division “Totenkopf”, Kursk, summer 1943. StuG III Ausf.G from the 23rd Sturmgeschütz Brigade in Russia, late 1943. Up-armored StuG III Ausf.G from an unidentified unit at the third battle of Kharkov, February 1943. Ausf.G early type recovered in 2002 from a swamp at Vielike Luki, Russia, previously lost in 1943. Ausf.G early production, Ukraine, fall 1943. Ausf.G early production, 202nd Assault Brigade, 15th Panzerdivision, March 1945. StuG III Ausf.G operating in Poland, 1944. Finnish StuG III Sturmi, 1944. StuG III Ausf.G with pig snout mantlet, Belarus, 1944. Ausf.G of the 2nd PanzerJager Abteilung in Estonia, 12th PanzerDivision, 1944. StuG III Ausf.G at Laba, Germany, 1945. Ausf.G with extra concrete armor, destroyed in Romania, 1944. Romanian TAs of the IInd battalion, 2nd Tank Regiment operating in Czechoslovakia and Austria in 1945. Hungarian StuG Ausf.G late type of the 7th Assault Gun Battalion, 1944-45. Ausf.G of an unknown unit with extra timber protection, 1944-45. StuG III Ausf.G with Saukopf, Eastern Hungary, March 1945. Ausf.G with Saukopf (late model), GrossDeutschland Division, winter 1944-45. Ausf.G Funk command tank, Panzer Abteilung 302, 19th Panzerdivision, Warsaw uprising, 1944. Late Ausf.G, 7th Assault Gun Battery, Hungary 1945. Ausf.G of the Panzer Abteilung 301, Normandy, France, 1944. Ausf.G, 301st PanzerAbteilung (Fkl), 2nd Panzerdivision, Normandy, summer 1944. Ausf.G, 3rd Company, 302nd Panzer Abteilung, Warsaw uprising, September 1944. Ausf.G with Saukopf, protected by concrete armor, captured by the Allies in 1945. StuG III Ausf.G with Saukopf, 12th Stürmgeschutz-Brigade Germany, February-March 1945. Sturmgeschutz III Ausf.G, early type, 23rd Sturmgeschutz-Brigade, Russia, 1943. Ausf.G in Russia, unknown sector, 1943. Ausf.G early type in Italy, 1944. Ausf.G of the 12th Sturmgeschutz Brigade, unknown location, 1945. Soviet captured Ausf.G, Eastern Europe, winter 1944-1945. Syrian up-armored StuG III, with a DshK HMG, in the late 1950s. German Sturm-Infanteriegeschütz 33B equipped with the 15 cm sIG 33 howitzer for close infantry support, Stalingrad, fall 1942. Only 12 were deployed here, out of the 24 converted. 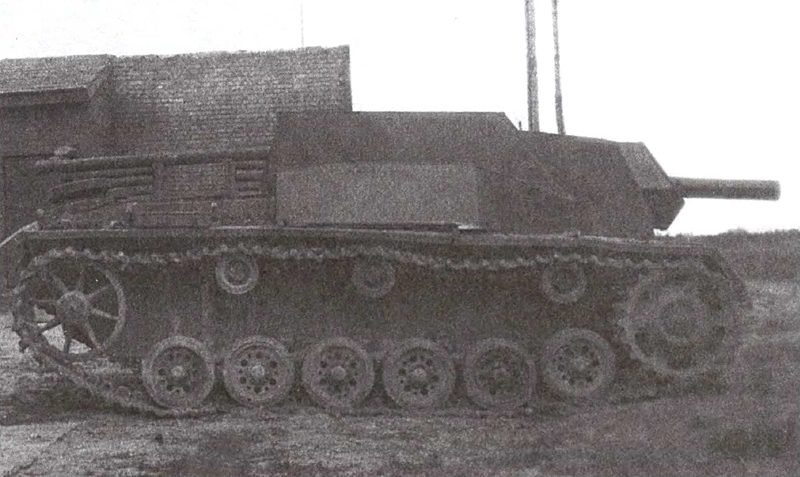 Early prototype (Versurchserie) of the Sturmhaubitze 42. StuH 42 of the early Ausf.G type, with spaced armor, Russia 1944. StuH 42 Ausf.G, Flasshchirmjäger Division Hermann Goering, Italy, mid-1944. Late StuH 42 without the muzzle brake, one of the few produced in early 1945. SU-76i, Red Army, Eastern Prussia, late 1944. SG-122 Artsturm, conversion of the SU-76i as a howitzer SPG, 1945 (not to scale). Lieutenant Walther Oberloskamp, Zugführer (platoon leader) in the Sturmgeschütz-Brigade 667, proudly showing his 40 victory rings on his personal StuG III. He was awarded, on 10 May 1943, the Knight’s Cross. This photo says scores about the average kill ratio of Sturmgeschutz units in operations – Credits: Histomil.com. Ausf.G in the Serbian military museum of Belgrade, 2008 – Credits: Slaven Radovic. Ausf G in the Serbian military museum of Belgrade, 2008. StuG III Ausf.G destroyed in Normandy, summer 1944, perhaps in the Falaise Pocket. While these tanks were likely very good, it is important to emphasize that battle reports on the Ostfront were routinely inaccurate propaganda created by either the Nazi or Soviet side. I find Tanks Encyclopedia has a tendency to forget that the Wehrmacht reports routinely don’t report lost tanks that were lost but repaired after the battle, nor are their reports always attested to by countervailing Soviet reports. Hello David, thank you for drawing our attention to this. Unfortunately, this tendency of ours is shared by a lot of sources. We will be taking this into consideration when writing future articles or revisiting older ones. There were romanian Stug’s also. Real foto SG-122 (first modei – A) , 1942. Thank you for the photos! They have been added to the article! When did the Germans Start Putting MG’s on their Stug’s? The first mention of an MG for the German StuGs comes in September 1941, with the Ausf.E. A bracket for a MG 34 was added at the rear of the fighting compartment (inside the tank), plus a container for MG ammo. Hi! There’s some great information on this site. I didn’t find a sources/ references section anywhere, however. Where do you guys find so much information on this subject? I’ve scoured the internet but I rarely find such detailed information, especially on the combat service of some of these vehicles. There are however no precise notes indeed. Woah I’m blind, how did I not notice that that. Thanks again! The information on the HEAT rounds for the StuK 37 seems to be that for the K.Gr.rot.Pz instead, since the quoted velocity of 385m/s is that of what the APC shell would have. The penetration figures decreasing with range are also indicative of a non hollow charge round. The vehicle in question has driver periscope vision holes as well as different angle and shape of the front superstructure plates. It also lacks a commanders cupola and the taller superstructure extension over the tracks which should be present in a G.
Lots of great information here. Curious about any information that could be shared about the Stu. G III F ammunition carrier.? I have noticed an error in the section of the North Africa campaign. It is mentioned that initially arrived three vehicles of which two were lost, and then two others are mentioned, which does not match the information given at first. That’s because there were 4 to start with. Our bad. Thanks for making us aware of this!